I’ve always wondered about resilience. What is it that makes some people able to bounce back regardless of the circumstance or challenge? And why do some people recover more easily from an illness or injury or a traumatic event like the loss of job or friend? To me resilience seemed a question of attitude and natural optimism, of being able to see the glass as half full rather than half empty. Ultimately, of being grateful for all the good stuff. I still believe that. 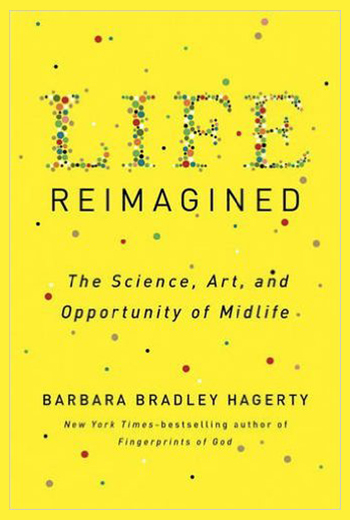 But it wasn’t until I read Barbara Bradley Hagerty’s stimulating book “Life Reimagined: The Science, Art and Opportunity of Midlife,” that I learned that resilience is also a skill. Neuroscientists now believe resilience can be cultivated—like fly fishing or riding a bike—and that you can hone it by changing how you think. You can learn to recognize patterns of negative and catastrophic thinking and simply learn how to reframe. It turns out that resilient people have the ability to suppress fear and anxiety in stressful situations—their prefrontal cortex (the reasoning center) knows how to regulate their amygdala (fear center). When something bad happens, take purposeful action by asking yourself is there anything good that can come out of this. Allow time for “the good” to emerge as it may take a while to figure that out. Thinking this way will help reset your mood. Focus on what you are still able to control. For example, if you need exercise and walking gives you pain, try crawling around the living room. Be willing and open to receiving help from friends and family. Don’t be a hermit and close yourself off. Make a list of what you do best—your strongest character assets and figure out how to use those strengths to best cope with the challenge at hand. Focus on how you can transform this setback into a growth experience. If you have chronic pain, don’t let it define you and stop identifying with it. Your pain is not intrinsic to you. Separate yourself from it and view it a “brain wiring” problem. Still unsure? Well, the US Army has bought in and is now requiring more than a million soldiers to participate in resilience training hoping to head off depression and PTSD. If Uncle Sam is onboard maybe you should be too.